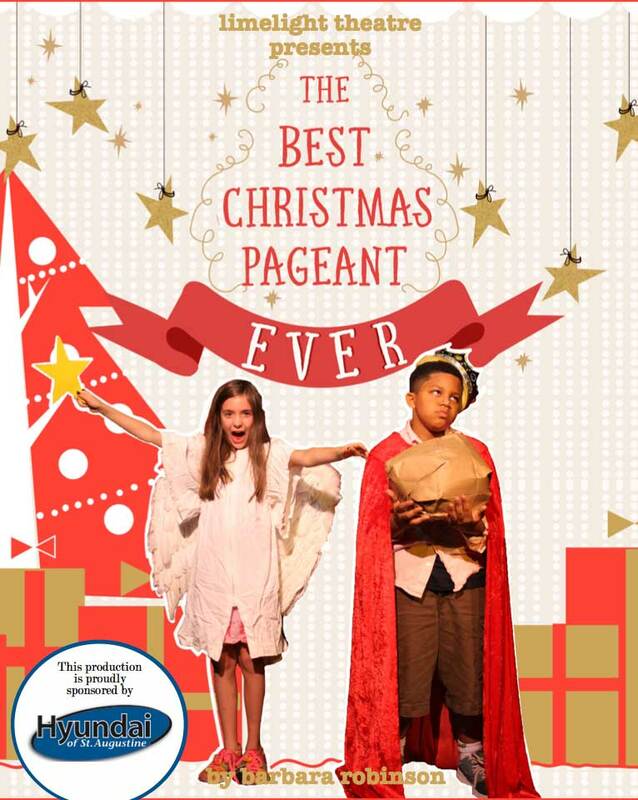 A holiday classic, The Best Christmas Pageant Ever will be staged Dec. 10 through Jan. 3 at Limelight Theatre in uptown St. Augustine. The play tells the tale of the disorderly, roguish children of the Herdman family, all six of them. 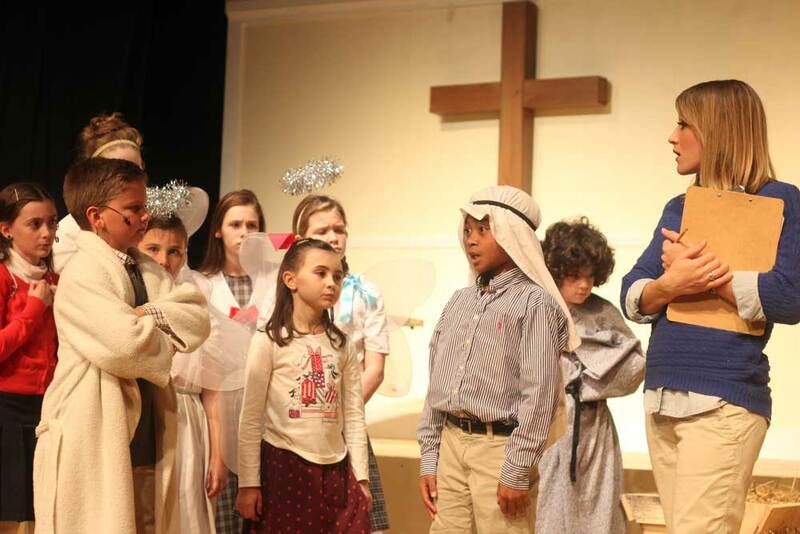 Their unexpected appearance at church leads to them being cast in the annual Christmas pageant — against the advice of fellow church members and local do-gooders. What follows is the lesson that is taught in this family-oriented show. A family friendly show for all! “The Herdmans are absolutely the worst kids in the history of the world” says Beth, the 12-year-narrator played by local middle school student Mack Hazel. The Herdmans are a family of rotten children. They lie, steal, swear, fight, light things on fire, and are generally feared in the community. When they get wind of the annual church Christmas pageant, they bully their way into the main roles and generally wreak havoc. 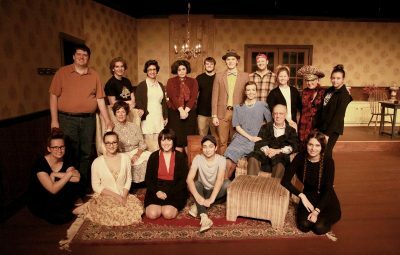 The Herdman children are played by local students Will Gooden as Leroy Herdman; Kyler Unsworth as Imogene Herdman; Ella Escamilla as Gladys Herdman; Zachary Davis as Ralph Herdman; Caragh Ziegler as Ollie Herdman; and Alexander Lawless as Claude Herdman. 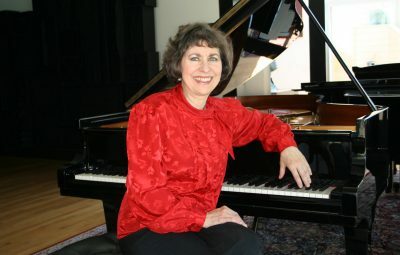 The play is directed by Shelli Long, who also serves as the theatre’s musical director and properties supervisor. 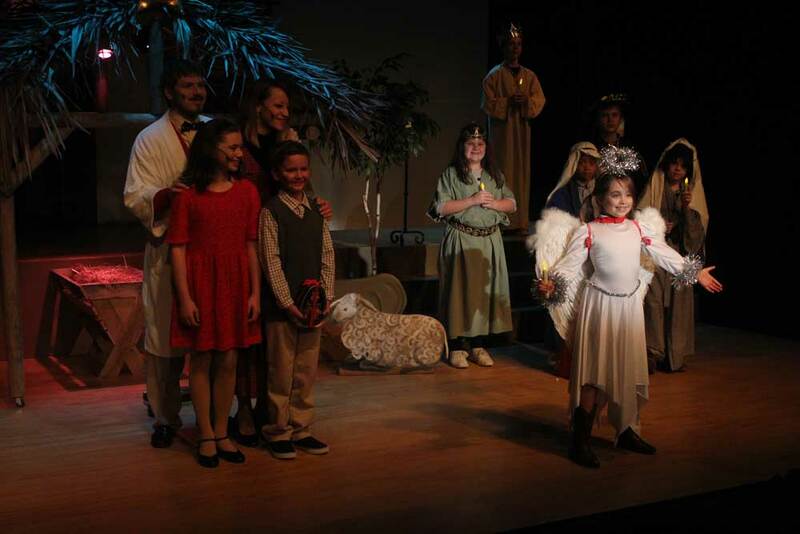 Long directed the 2014 Limelight Christmas show, Miracle on 34th Street. “I got lucky with this cast, many are veterans of the Limelight stage and know the commitment necessary. They also must have very supportive families.,” Long explains. Show times are 7:30 p.m. Thursday-Saturday, with 2 p.m. Sunday matinees. A Terrific Tuesday performance on Dec. 15 also will begin at 7:30 p.m.
Tickets are $26 for adults; $24 for seniors; $20 for military and students; two tickets for $30 on Terrific Tuesday; $15 for preview night on Dec. 10; and one free ticket for children 12 and younger with each full paid adult ticket. 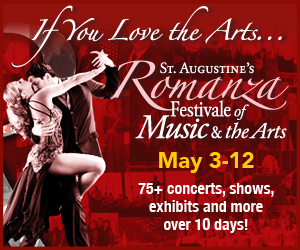 For reservations, call 904-825-1164 or purchase tickets online at limelight-theatre.org. Limelight Theatre is located at 11 Old Mission Ave., in uptown St. Augustine. 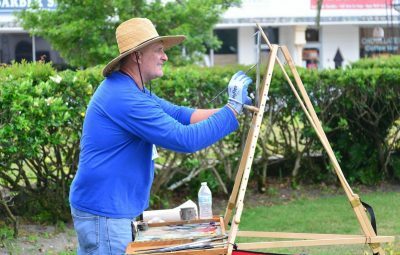 Free parking is available on site and streetside. Heather Vreeland is the Group Publisher and Editorial Director of St. Augustine Social and Occasions Magazines. A Flagler Alumni, long-time resident of St. Augustine, Heather is a wife, mom, writer, graphic designer, marketing expert, font fanatic and sucker for pretty packaging.